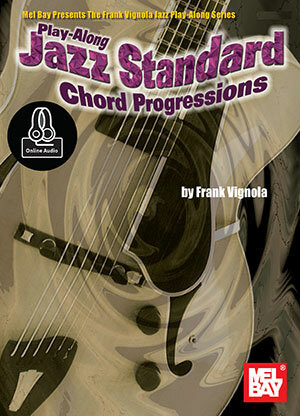 In this book and online audio, master jazz guitarist Frank Vignola has taken eight different jazz standard chord progressions and recorded rhythm guitar parts so you can play along and learn these most commonly used chord progressions. He has also written out a jazz solo for each of the eight tunes. These are recorded at slow and faster tempos for practice. The first chorus of every track has both the solo and the rhythm guitar, and the rest of the choruses have just the rhythm guitar for you to jam along with. The notation for each tune includes a jazz solo written out in notation and tablature and also a chord chart. Includes access to online audio.